Unfortunately, airlines lose hundreds of bags every day, despite the US Department of Transportation strictly enforcing what should happen when you arrive in one place to find that your bags are somewhere else. Most of the times luggage is “lost,” it is only delayed. Maybe it missed your flight or ended up on the wrong plane. Wherever it is, airlines have very sophisticated systems to track bags down, and can usually find their location within a few hours. Even if the airline knows where your bag is, report it as lost. This will create a paper trail that can help you down the road, should you encounter more problems. Make sure to get a copy of the report and a phone number so you can follow up. 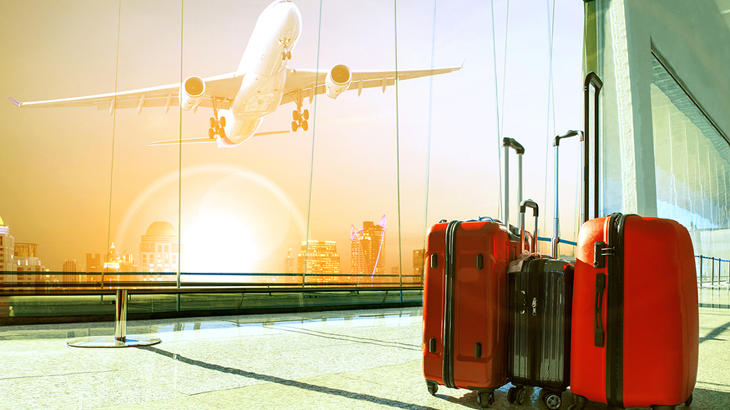 If your belongings are permanently lost or damaged, airlines will generally pay you its (depreciated) value. You can generally find the maximum claim amount on the back of your ticket. Keep that figure in mind when deciding whether you want to pack valuables in your checked bag or your carry-on. Though there are systems in place to determine what the airport will and will not pay, don’t be afraid to negotiate. It never hurts to ask! Additionally, check your home insurance and credit cards. Some insurance policies cover losses, even if they happen outside your home. Similarly, credit cards will sometimes offer flight insurance and baggage coverage that is automatically applied when your purchase a ticket. Get luggage that is easy to identify. Just about every luggage manufacturer makes bags that are in different prints and colors. However, if you have that standard black suitcase, use bright ribbons or luggage tags so you, and everyone else, know which is yours. This will help prevent any mix-ups. Just in case your bags are lost, stolen, or delayed, we recommend packing all valuables and necessities in your carry on. This includes medication, a change of clothes, important toiletries, and any electronics.